Bradycardia is the medical term to describe a slow heart rate. It is defined as a resting heart rate of 60 beats per minute or less. For most people a heart rate of 60 to 100 beats per minute while at rest is considered normal. If the heart rate drops below 60 beats per minute it places far greater strain on the heart as it struggles to pump blood efficiently around the body. This impaired blood flow also reduces delivery of oxygen and vital nutrients to the different organs and tissues of the body. Bradycardia is caused by changes to the normal electrical impulses controlling the heart rate. There are a few factors that can contribute to problems with your heart’s electrical system. This includes hypothyroidism. In fact, this heart disorder is a common finding in individuals with hypothyroidism. The thyroid hormones target the heart to keep it working in tip-top shape. 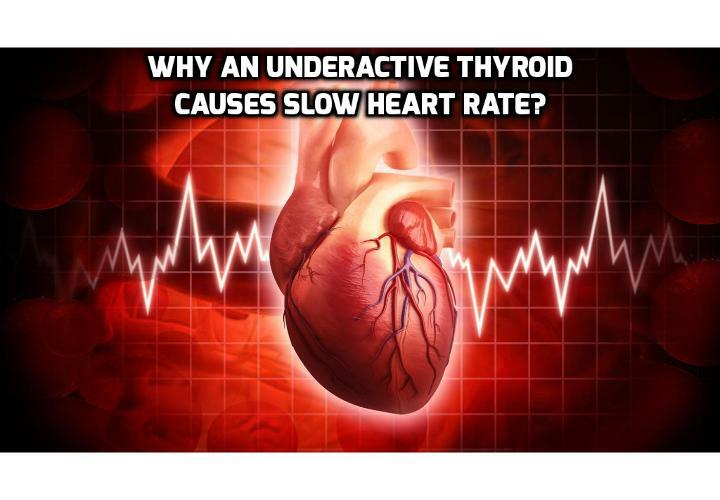 The thyroid hormones regulate your heart rate, the force of each heartbeat and help maintain the physical strength of your heart by supporting ongoing tissue repair and growth. When your thyroid is under active there is inadequate thyroid hormone activity within the heart. This has dramatic effects on your heart function. A slow pulse rate and low blood pressure may be symptoms that actually lead to a diagnosis of hypothyroidism. Next PostNext Can Basal Temperature Testing Help Diagnosis A Thyroid Problem?